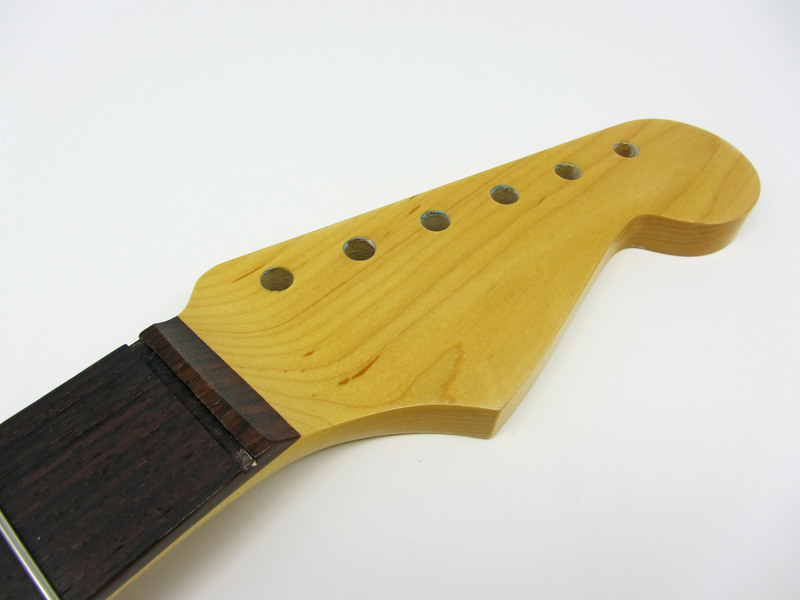 WTB: Strat neck with rosewood board. 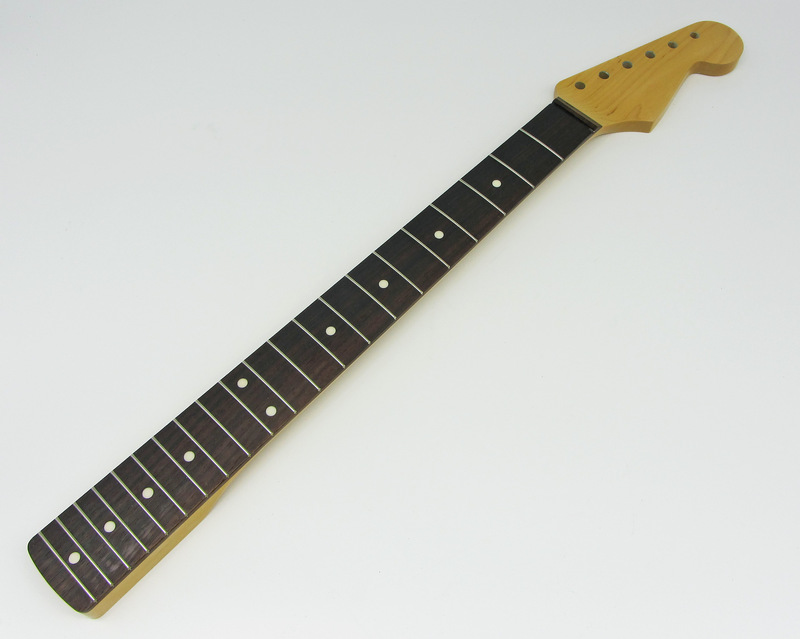 I’m looking for a Strat neck with rosewood board. 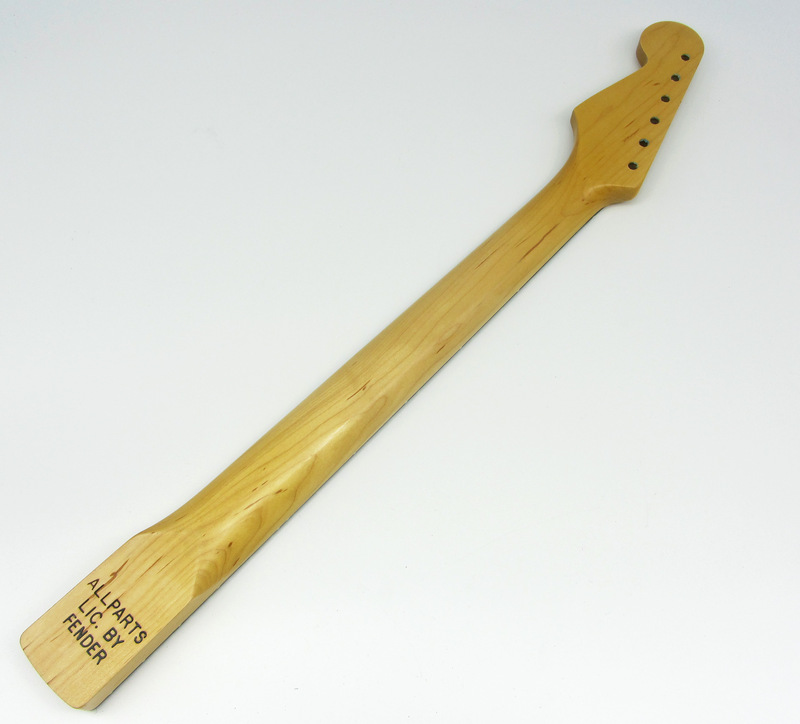 I really want one with a reasonably fat back profile, 9.5” or 10” radius, medium jumbo frets and nitro finish. Anything out there? Hey there, I have a brand new Allparts SRO-C - C profile (though not their FAT one, which is huge), 9.5 radius and what they call tall frets - slightly less wide than the medium jumbos but similarly easy to play. edit; fingerboard edges have been lightly rolled and I do a fret end dress before sending these out too. I have a neck from the Mexi Classic Player 60s if that's of any interest? Thanks but not really what I’m looking for. Might you be possibly interested in an AllParts SRO-W...? You still want to sell that neck mate?